Home Our Students SWDTP Student Showcase!. In what can only be described as a feat of endurance, Nasrul Ismail (Health and Welbeing, UWE) conducted 11 interviews across 6 countries in 2 weeks during March 2018. Nasrul used his Overseas Fieldwork Allowance to "undertake primary, in-depth, qualitative research interviews" essential to his PhD- which considers the effects of austerity on prisoners. 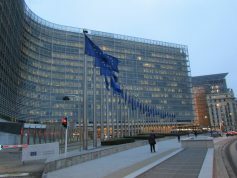 He met with representatives from multiple different organisations, including the World Health Organisation; the European Court of Human Rights and the Irish Probation Service. Nasrul also met with three stakeholders in-between conducting interviews. The OFA funding allowed Nasrul to realise his ambition to conduct all 11 interviews face-to-face and in the cities in which the interviewees were located. Nasrul's work is a perfect example of the fantastic opportunities presented by OFA. He received many offers for future collaboration, including: the offer of an internship in Vienna; offers to present guest lectures and an invitation to deliver a keynote speech at the 2nd International Correctional Research Symposium, Prague, in May 2018. It looks like Nasrul is going to be kept pretty busy! University of Bath Psychology student Hope Christie won the Ede and Ravenscroft Best Research Student Prize at the University of Bath! Hope delivered a presentation about her research at an open event at the university of Bath. The competition was fierce as Hope reported that the other finalists had also delivered "amazing presentations". As well as a fantastic experience and prestigious title, Hope's victory will be reported to the University of Bath Senate. Well done Hope! Tamsyn Hawken (Psychology, Bath) has won a Psychology Postgraduate Affairs Group 'Rising Researcher' Award. In order to win the award, Tamsyn had to demonstrate multiple skills. First, she had to give evidence of her unique approach to her research questions. 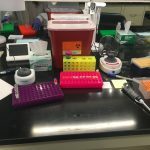 This includes her study utilising biomarkers of stress- you can read more about Tamsyn's trip to Spit Camp further down the Student Showcase page. Then, she had to demonstrate the long-term impact of her research on the field and identify personal characteristics that have helped her to overcome personal adversities and research difficulties. Perhaps unsurprisingly, the stress researcher chose resilience as the focus of her personal characteristics. Finally, her supervisor- Professor Julie Turner-Cobb- wrote a supporting statement. Tamsyn said: "I’m feeling really delighted to have received the award. It feels like a really nice way to have my achievements thus far recognised. It also comes at a very good time in terms of motivation, as I approach the final stage of my PhD this award has given me a real boost to believe in myself and the work I do." 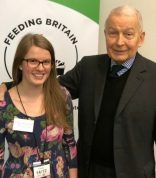 As part of the prize, Tamsyn has been invited to talk about her research at the PsyPAG conference in July, where she will talk more in depth about how her resilience has supported her research. 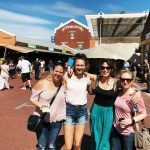 If you can't wait till July, don't forget to check out Tamsyn's blog today! their map. The exercise highlighted participants' beliefs, misconceptions, feelings and perceptions. News.The article goes into more detail about the mapping tool. You can read it here. research, his daily life and- hopefully- his travels too. 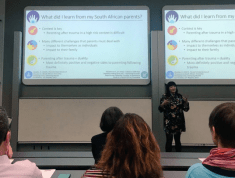 We're proud to report that Exeter Psychology researcher Miriam Cohen had a very successful Overseas Institutional Visit to the University of Cape Town in South Africa. Miriam worked on the launch of a new project, delivered a talk; attended a workshop on gang violence; tutored a Masters student and more! She made some fantastic contacts with PGRs and academic experts and hopes to continue the collaborative work and the friendships that bloomed in SA. You can read more about Miriam's trip by visiting the post on our homepage! all about her experience which you can read on her page. children with free meals outside of term time. Stephanie in the December 2017 Issue of our Newsletter. Make Lunch and offers advice on the retention of volunteers. Max Taylor (Political Science and International Studies, University of Bath) visited Brussels and Beijing to conduct EU research fieldwork. He completed 45 interviews; attended the EU-China Dialogue and has been asked to present his research at a future high-profile event! 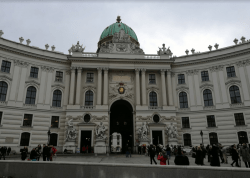 Max has written two informative blog posts about his visits, in which he offers advice to other researchers conducting Overseas Fieldwork and shares his experiences of being abroad. Louise Austin (Socio-Legal Studies, University of Bristol) has had her Case Commentary, 'Grimstone v Epsom and St Helier University Hospitals NHS Trust: (It’s Not) Hip To Be Square', published in Medical Law Review! You can read her interesting insight into this early post-Montgomery decision on the Medical Law Review website. 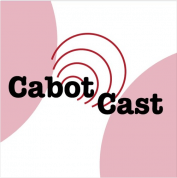 Alice Venn (Environment, Energy and Resilience, University of Bristol) appeared on The Cabot Institute's podcast- CabotCast- to discuss the effectiveness of the Paris Agreement and the potential effects of President Trump's withdrawal from it. Listen to the podcast on Soundcloud here! 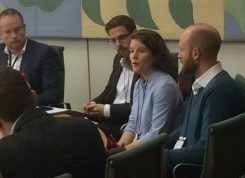 Dan Godshaw (Sociology, University of Bristol) went to Westminster to present his research to the All Party Parliamentary Group on Refugees (APPG). His talk was attended by parliamentarians including Paul Blomfield (Shadow Brexit Secretary), Thangam Debbonaire (MP for Bristol West), Afzal Khan (Shadow Immigration Minister) and Stuart McDonald (MP). As part of his placement, Dan collaborated with the Gatwick Detainees Welfare Group (GDWG) to produce a report which calls on the Home Office to implement its own guidance on detaining vulnerable people properly and without delay. Congratulations to Cameron Hunter (Political Science and International Studies, University of Bristol) who, following a successful placement, has been made a Fellow of the Schumacher Institute! 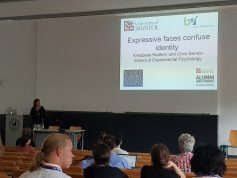 In August, Annabelle Redfern (Psychology, University of Bristol) delivered a presentation on the topic of Facial Recognition at the European Conference on Visual Perception (ECVP). The international conference, held in Berlin, is interdisciplinary in nature as it attracts researchers from many different branches of the field of Vision, such as animal vision; human vision; aesthetic and art; computer vision; vision and attention; eye tracking et al. Over 2,000 people attended from Europe, USA, Japan and Australia. Annabelle was approached by members of the audience and congratulated on her fantastic talk. Annabelle received a sponsorship from the University of Bristol Alumni Foundation and has written a piece for them about the convention. In June, Lydia Medland (Global Political Economy, University of Bristol) and Maria Pinto Ocampo teamed-up with FabRiders, an organisation specialising in technology and data strategies, to deliver a participatory workshop at the University of Bristol on the subject of security. The workshop, which was attended by 24 participants from a range of subjects, was designed to help doctoral researchers to strengthen their research practises and protect themselves and their participants. Do you want to know more? Then download the subsequent report! 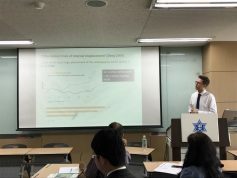 In June 2017, Ben Hudson (Socio-Legal Studies, University of Bristol) presented his doctoral research around the subject of internal displacement at the Annual Meeting of the Academic Council on the United Nations System (ACUNS) in Seoul, North Korea. He spoke to an audience of scholars, academics and practitioners at the organisation's 30th annual event- this year focusing on the theme of revitalising the UN system for human rights, peace and development. While in South Korea, Ben visited the Military Demarcation Line, which he says was a fascinating experience.